Since the time Google launched Gmail, it has literally swept the market stakes so much so that today almost everyone has a Gmail account. The precise reason why Gmail is so widely used is that it allows users to compartmentalize mails, use ‘Priority Inbox’, follow threads for mails etc. If these things couldn’t be easily used on iPhone, not many would continue using Gmail and iPhone at the same time. 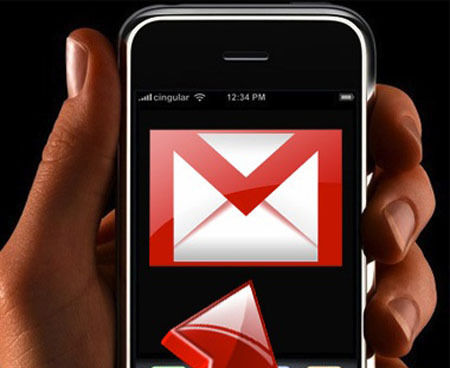 Considering the increased usage of iPhone, Gmail launched its iPhone app last year but much to its disappointment as it did not receive the expected feedback from users and industry experts. However, the Gmail app did come back soon with improvements and is currently being used instead of the Apple App for Mails. Instant Updates: If you are a person who needs to get instant mails and need to stay in constant touch with your clients and boss, you need to get instant updates. With the help of push notifications (which has finally arrived after a lot of problems) users can get instant updates on their iPhones. Priority Inbox: This mode of viewing mails on your smartphone has been an instant hit and has helped users filter emails. 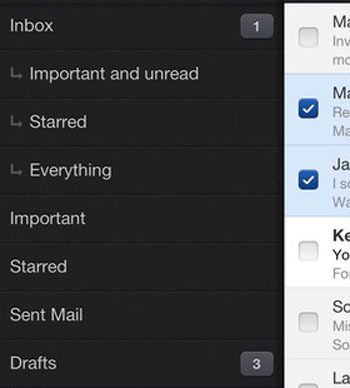 Priority Inbox lets you have everything in front of you, yet hide unnecessary mails. Thanks to Priority Inbox, you can label mails and see only those which are important and keep others stored elsewhere. Archiving and Searching: The archive icon appears on the screen letting you search for older mails with ease on your iPhone. This feature was not available in the native Apple Mail app denying the users of its advantages. Searching for mails in the archive can also be easily done with the help of an intuitive interface. Advanced Features: The Gmail app on iPhone has several advanced features that minimize browsing and keep everything right in front of your eyes. All you need to do is tap on the drop down and get the familiar Gmail features such as ‘report an email or spam’, ‘mark it as unread’ and ‘add a label’ etc. Undo Actions: While using a touchscreen phone, it is quite common to hit some unnecessary tabs while browsing. This can get you in trouble if you delete important things by mistake. The Gmail app for iPhone allows you to undo such actions and retrieve things you deleted by mistake. – At the end, make sure that the ‘Contacts’ option is turned ON. The major problem with the Gmail App for iPhone is its loading speed. It takes quite some time to load which can often be annoying for the users. While the updates appear immediately on your home screen, it can take you good 10 seconds to reach to the mail due to slow loading speed. Apart from this minor problem, the Gmail app on iPhone is far better than the Apple’s Mail app and is a must-have for any Gmail user.